Add a pop of color when you decide to pop the question with this ruby engagement ring setting. Featuring a round cut, bezel set ruby on each side of your selected center stone, this ring puts a modern twist on a traditional style. 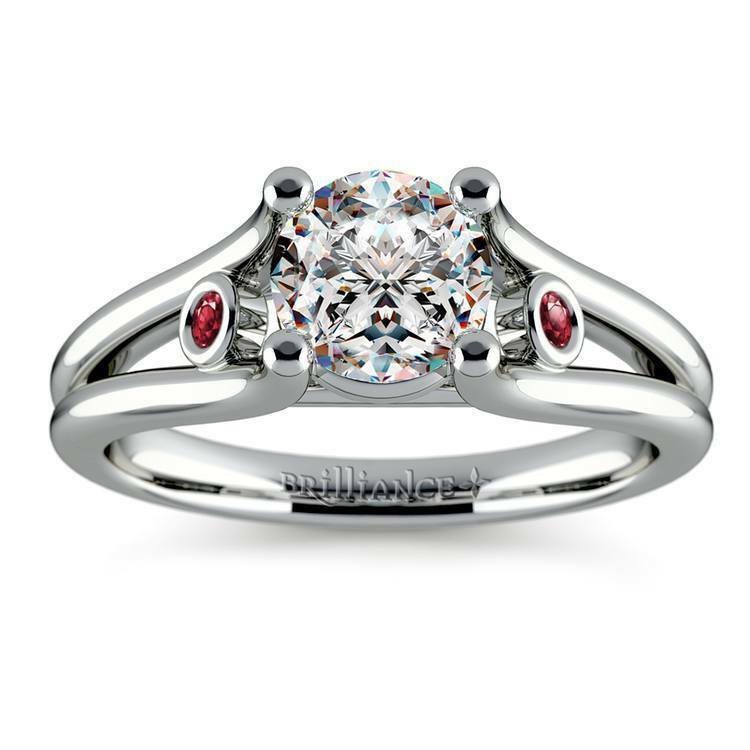 Available in either 14 or 18 karat white gold, this ruby-adorned setting’s splash of red will grab everyone’s attention. Want more color? Check out our full collection of gemstone engagement rings.